Beisner BE, Haydon D, and Cuddington KL (2003) Alternative stable states in ecology. Frontiers in Ecology and the Environment 1: 376-382. Carpenter SR, Ludwig D, and Brock WA (1999) Management of eutrophication for lakes subject to potentially irreversible change. Ecological Applications 9: 751-771. Holling CS (1973) Resilience and stability of ecological systems. Annual Review of Ecology and Systematics 4: 1-24. 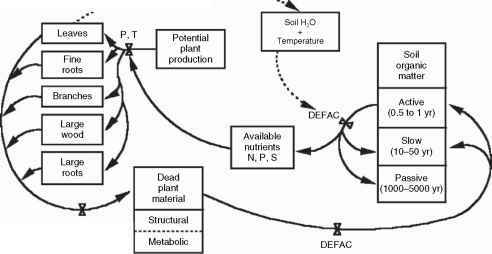 Jorgensen SE and de Bernardi R (1998) The use of structural dynamic models to explain successes and failures of biomanipulation. Hydrobiologia 379: 147-158. Law R and Morton RD (1993) Alternative permanent states of ecological communities. Ecology 74: 1347-1361.
of Biology 22: 13-23. Catastrophic shifts in ecosystems. Nature 413: 591-596. May RM (1977) Thresholds and breakpoints in ecosystems with a Voinov AA and Tonkikh AP (1987) Qualitative model of eutrophication in multiplicity of states. Nature 269: 471-477. macrophyte lakes. Ecological Modelling 35: 211-226. Peterson GD, CarpenterS, and Brock WA (2003) Model uncertainty and Zhang J, J0rgensen SE, Beklioglu M, and Ozlem I (2003) Hysteresis in the management of multi-state ecosystems: A rational route to vegetation shift - Lake Morgan prognoses. Ecological Modelling collapse. Ecology 84: 1403-1411. 164: 227-238.